Telstar 8 and 9, both hybrid C-, Ka-, and Ku-band spacecraft, are scheduled for launch in 2003 and 2004, respectively. Skynet's customers use the satellites in a wide variety of applications, ranging from cable and direct-to-home television to Internet applications, to news gathering, distance learning, business TV, and telephony. Built by SS/L for Loral Skynet, Telstar-8 is one of the most powerful communications satellites ever designed. It is the first to be built on SS/L's extended 1300 bus (SSL-1300S) and will carry 92 transponders with a total end-of-life power of 16 kw. The payload will include 36 Ku-band, 22 C-band, and 24 Ka-band active transponders, providing coverage across North and South America. Loral anounced in July 2003 a definite agreement to sell Telstar 8 to Intelsat, renaming the satellite in turn to Intelsat Americas 8 (IA 8). 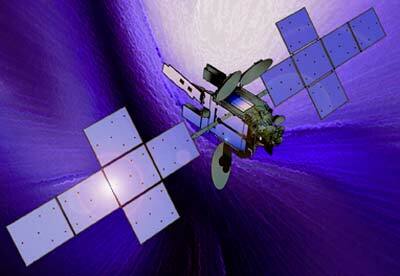 Intelsat changed the name of the Intelsat Americas 8 satellites to Galaxy 28 effective to 1 February 2007.